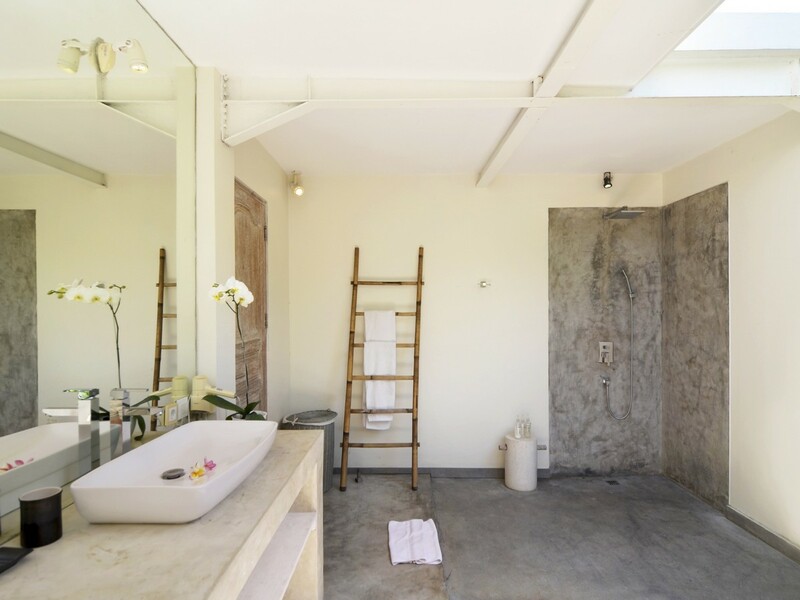 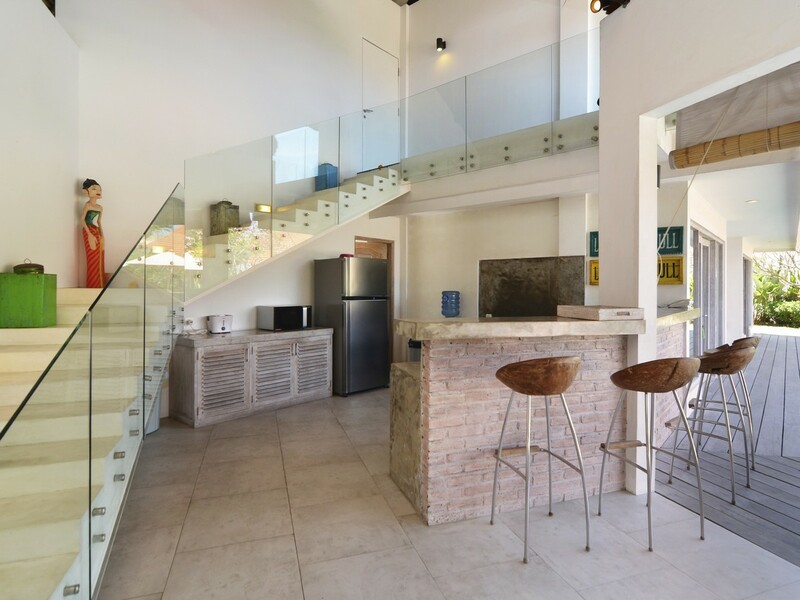 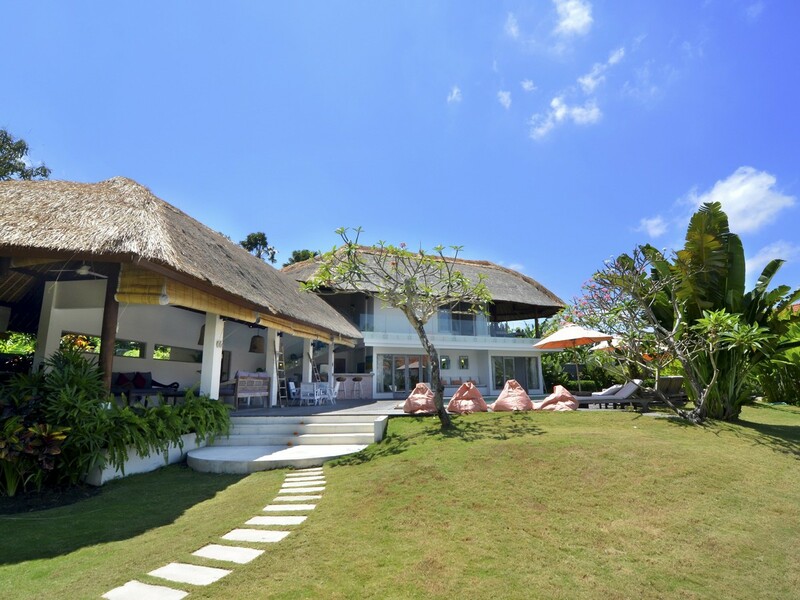 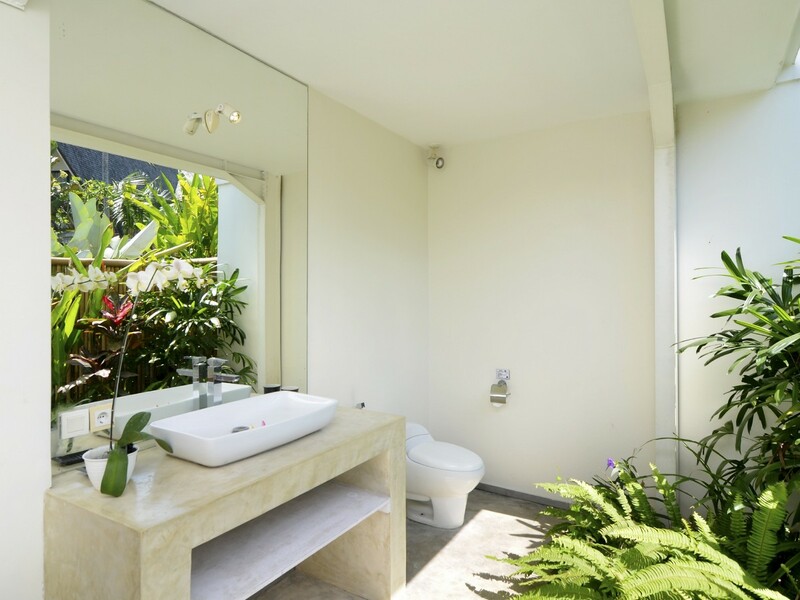 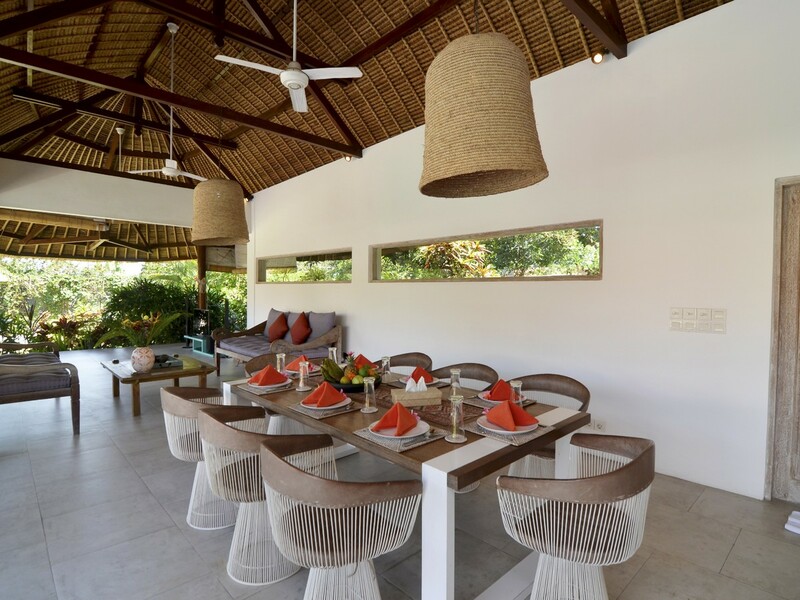 Villa Kami is a four bedrooms villa, located in Canggu area near from the beaches Echo Beach and Berawa beach, perfent location for surfers. 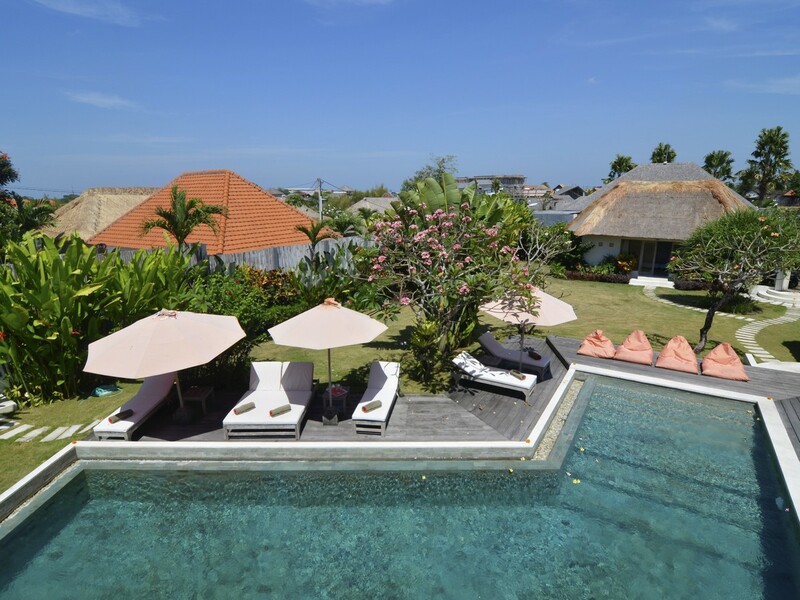 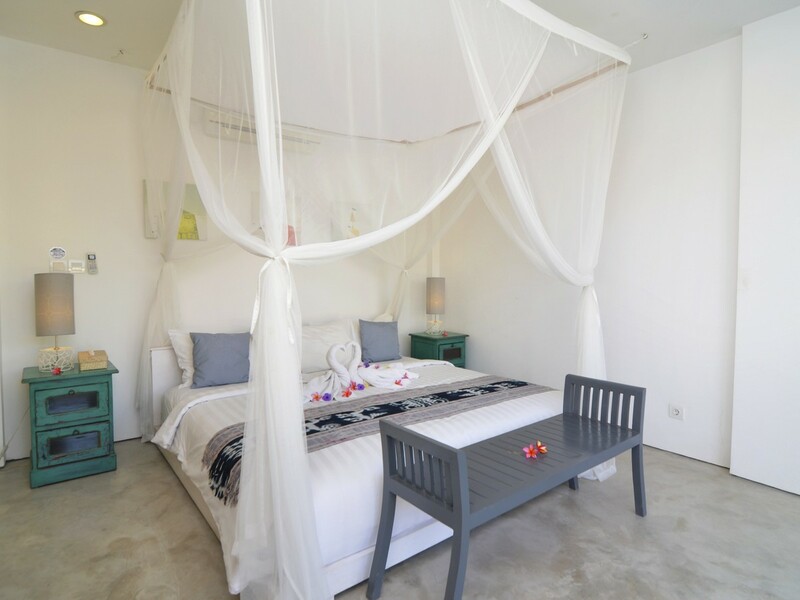 At only 5 minutes to the center of Canggu with all the trendy restaurants, cafes and bars, 10 minutes to the living area of Seminyak and 40 minutes from the airport. 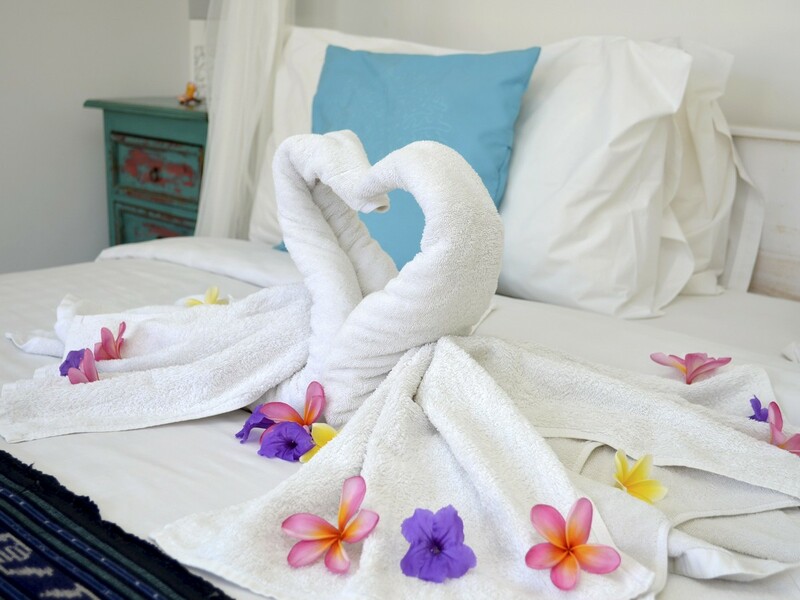 We are sure you will have a crush for it ! 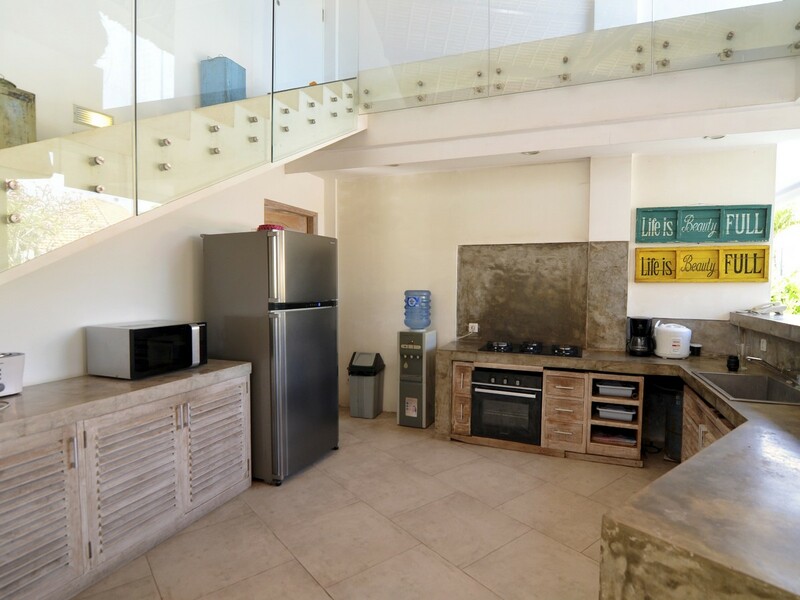 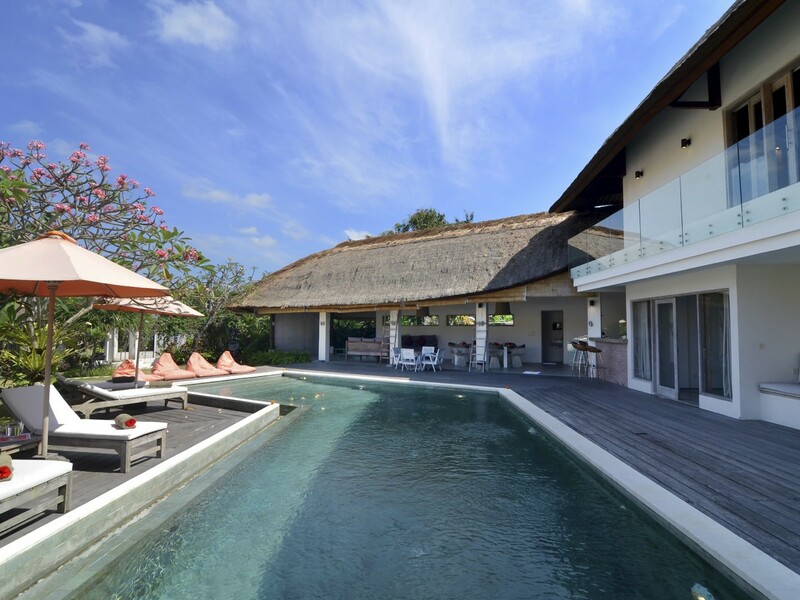 When you arrive in this huge property you can notice the modern and stylish decoration very purified of this villa. 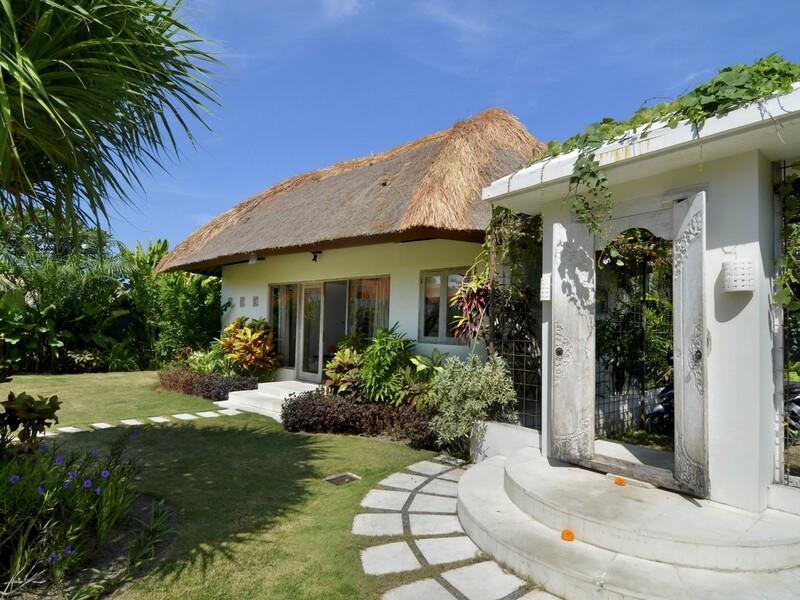 The alang-alang style roofs put a traditionnal touch which make a great combination between modern and balinese architecture. 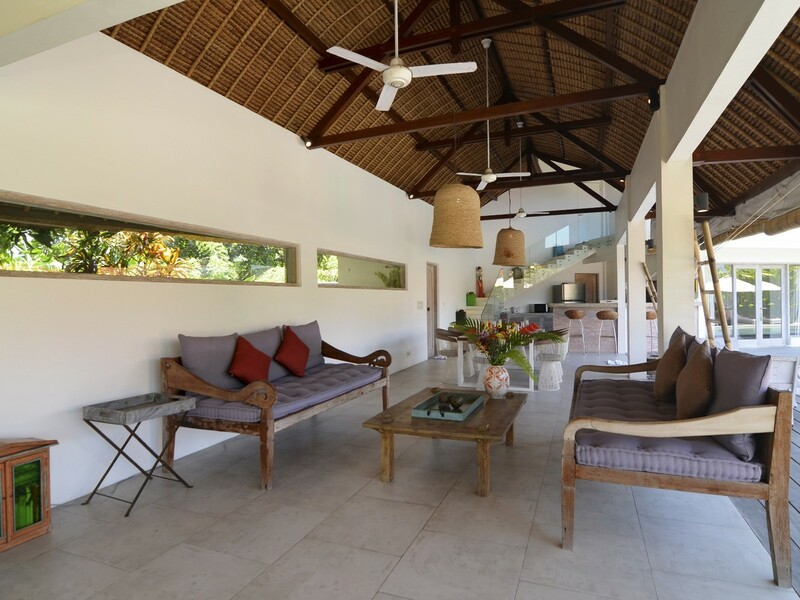 The living area is simply a magnificient place of the villa because it's open on the outside with a direct view on the tropical garden and the big swimming pool of 15 meters. 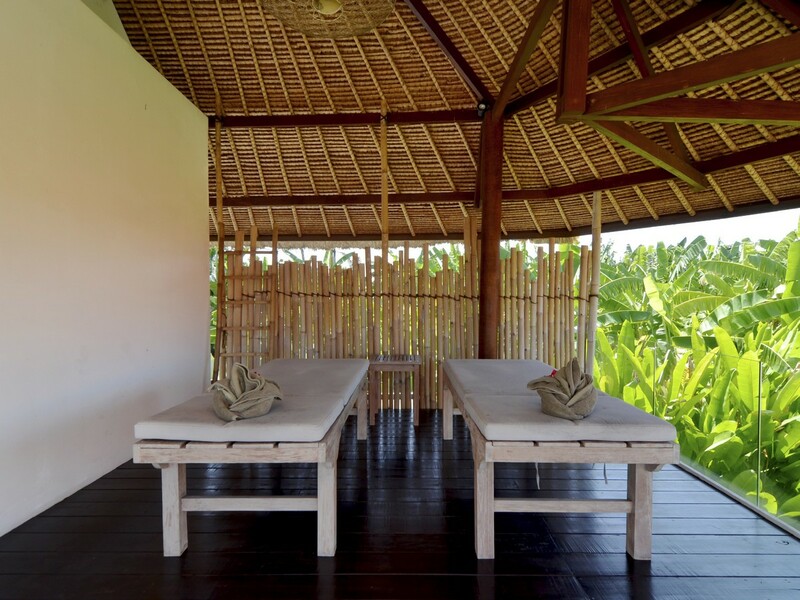 Comfortable sofas are making the living room, you can relax and enjoy your balinese life style by looking the sunset colors of the sky and appreciate the sounds of nature in the middle of the ricefields. 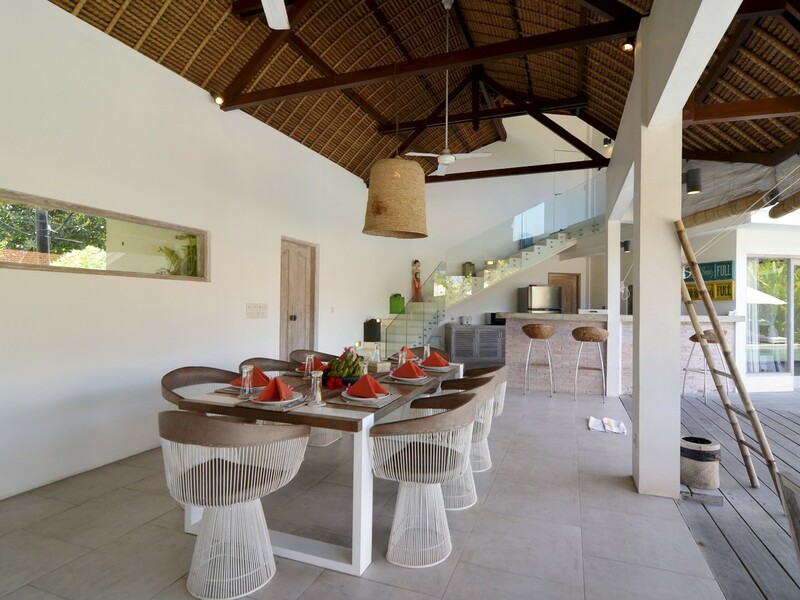 A dining table is here for eight people where you can enjoy your nights with family or friends. 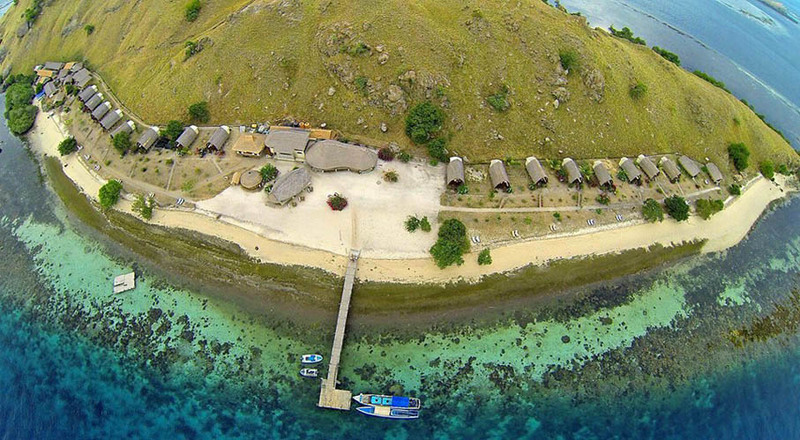 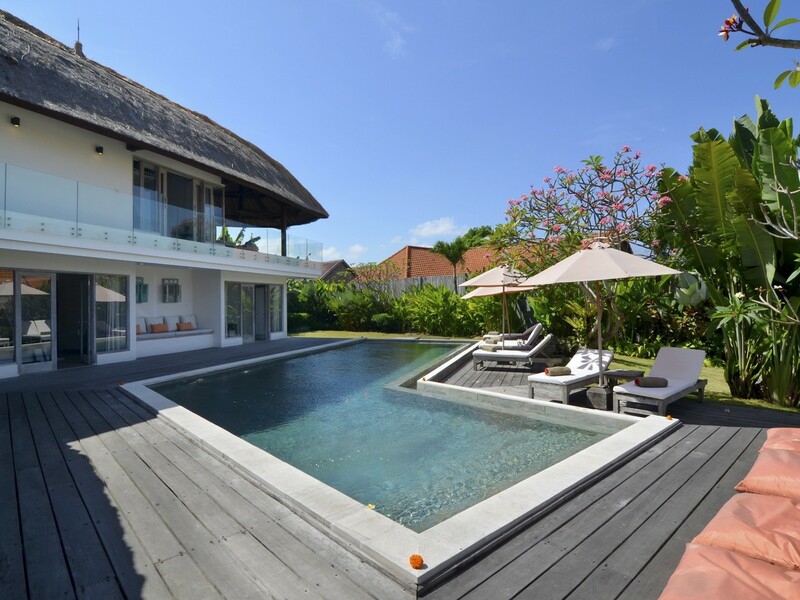 A perfect villa with all details to ensure dream holidays for all. 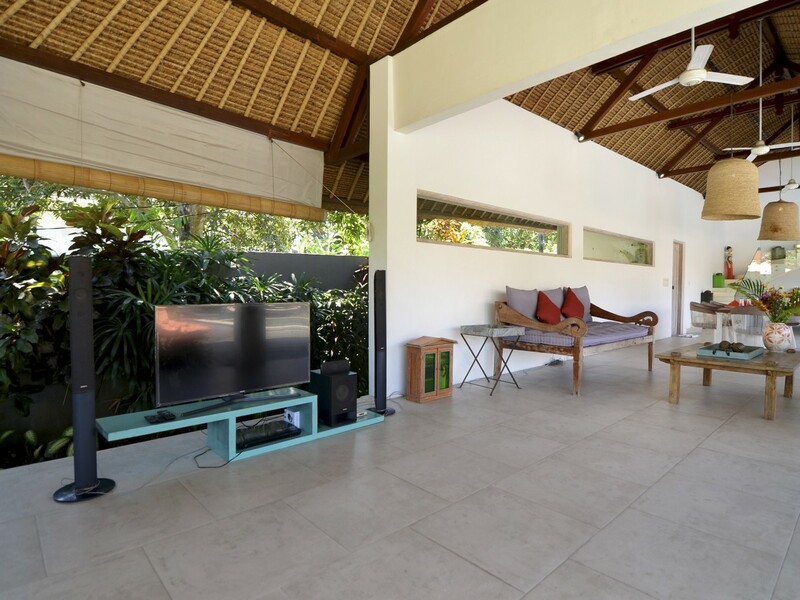 WIFI is available in the entire property and there is flat TV screen with DVD player for your entertainment. 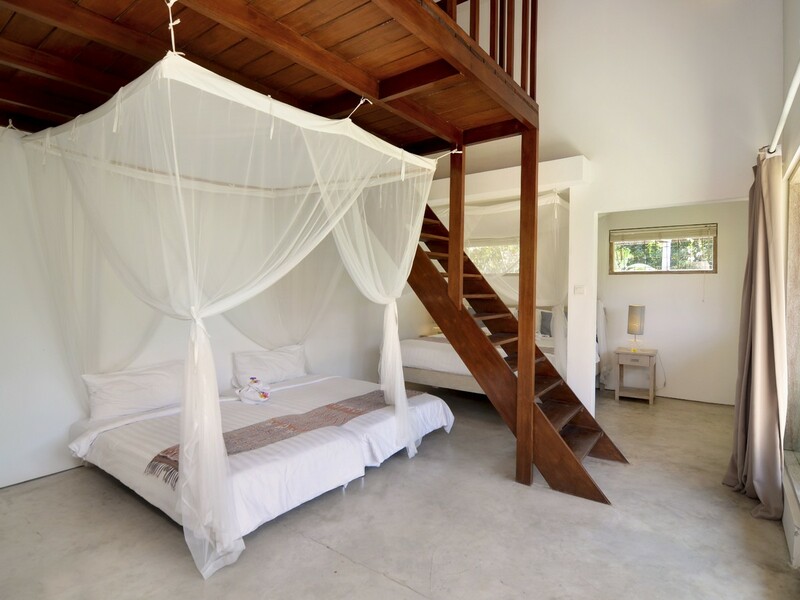 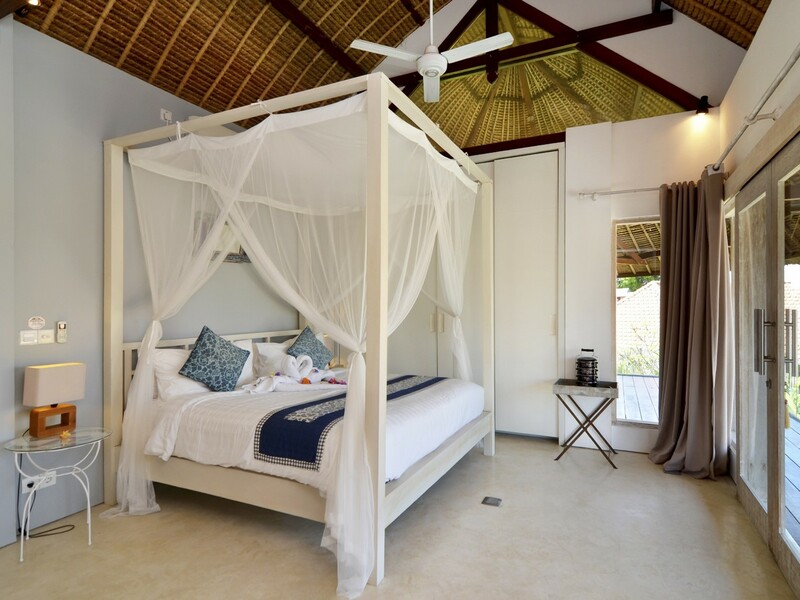 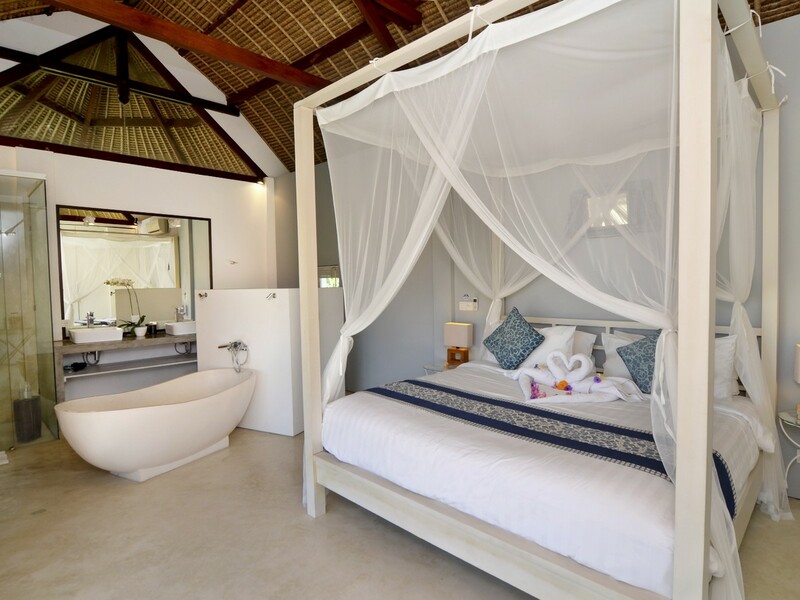 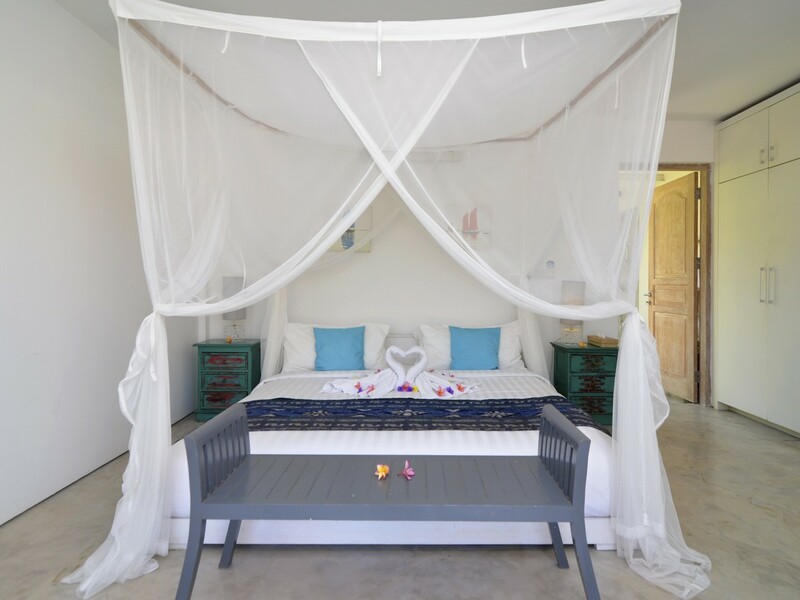 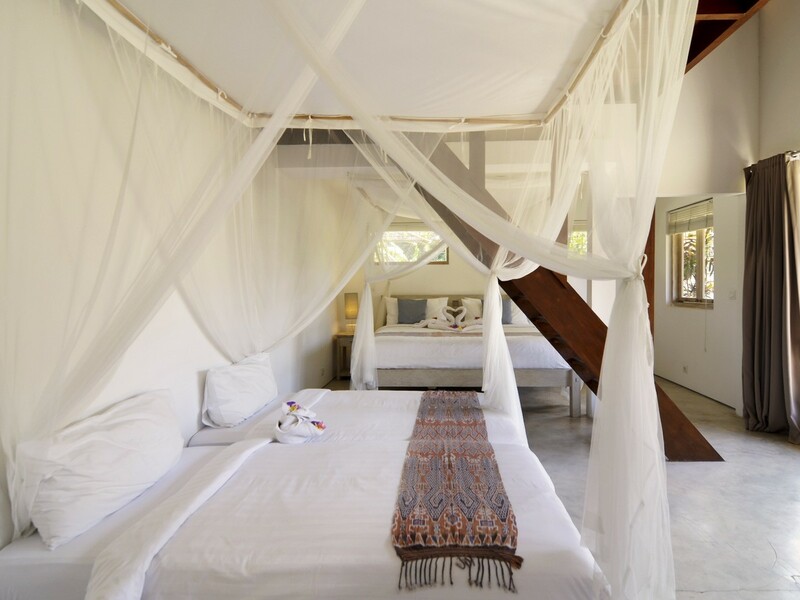 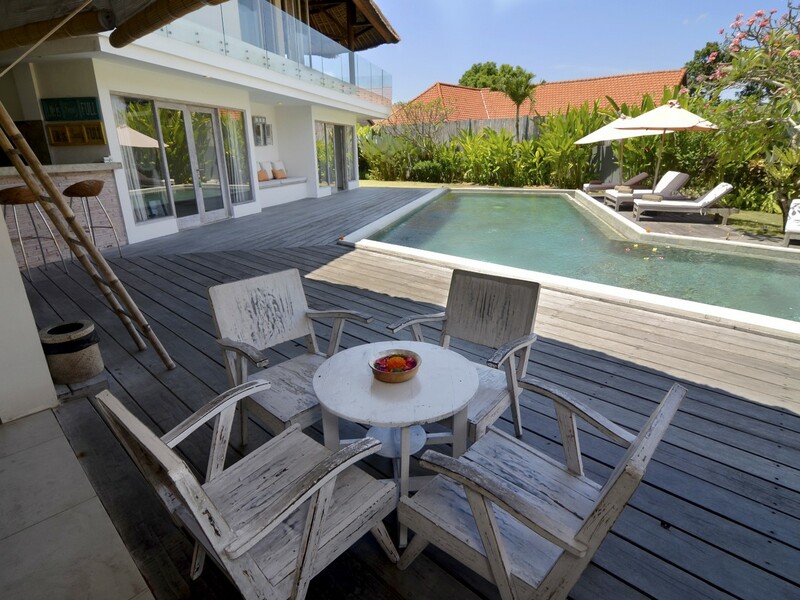 Three bedrooms of the villa are in the main pavillon while the fourth is in a private bungalow on the garden. 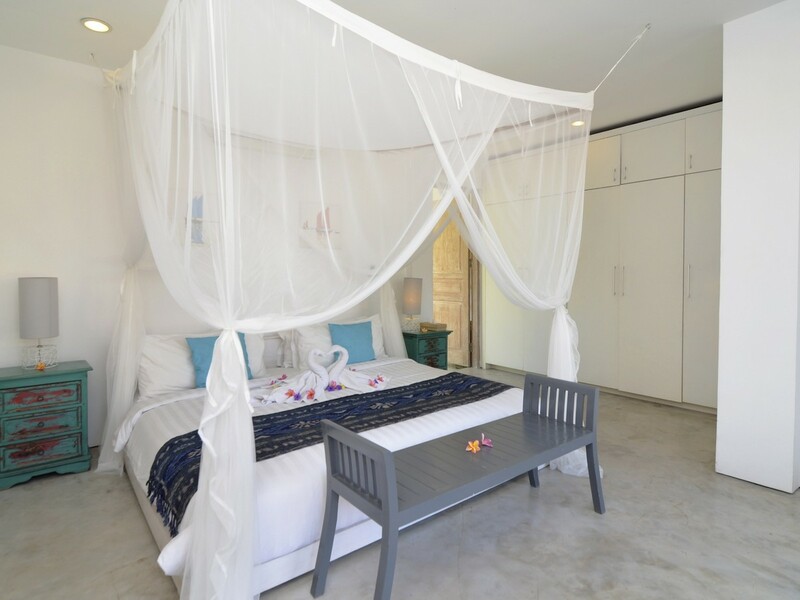 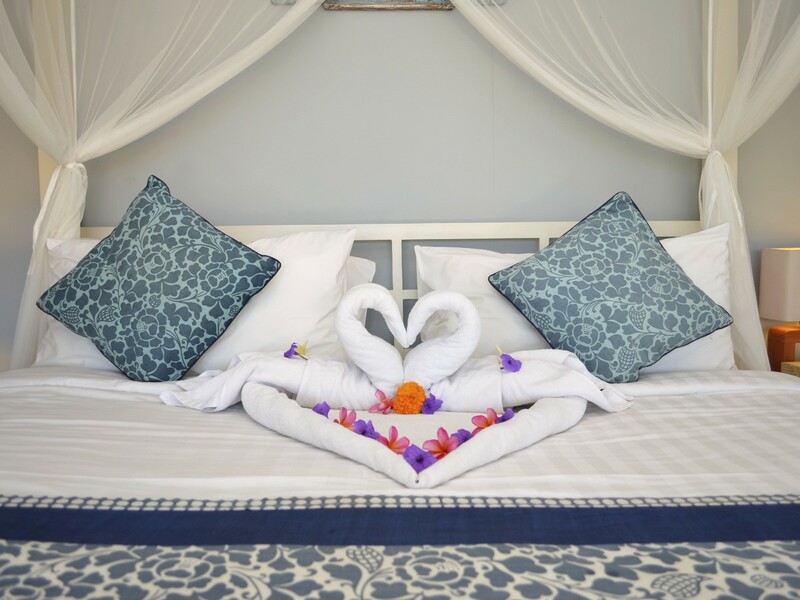 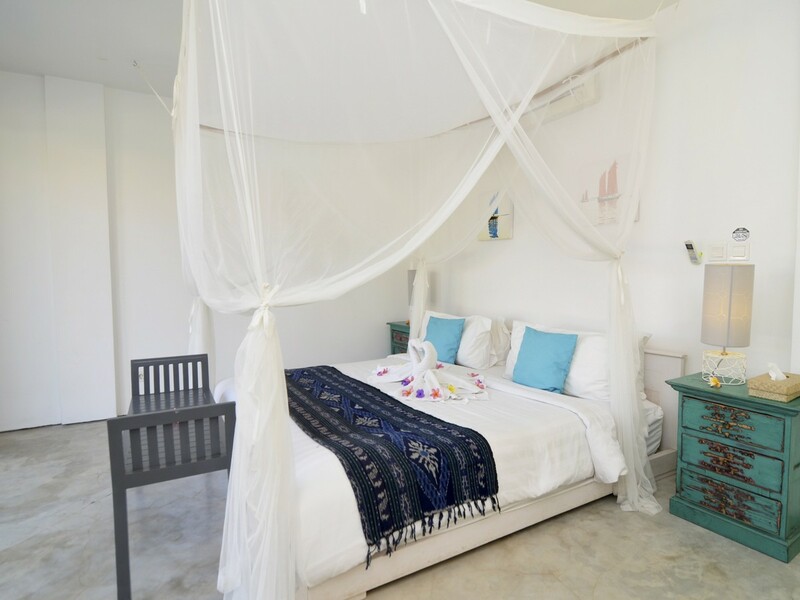 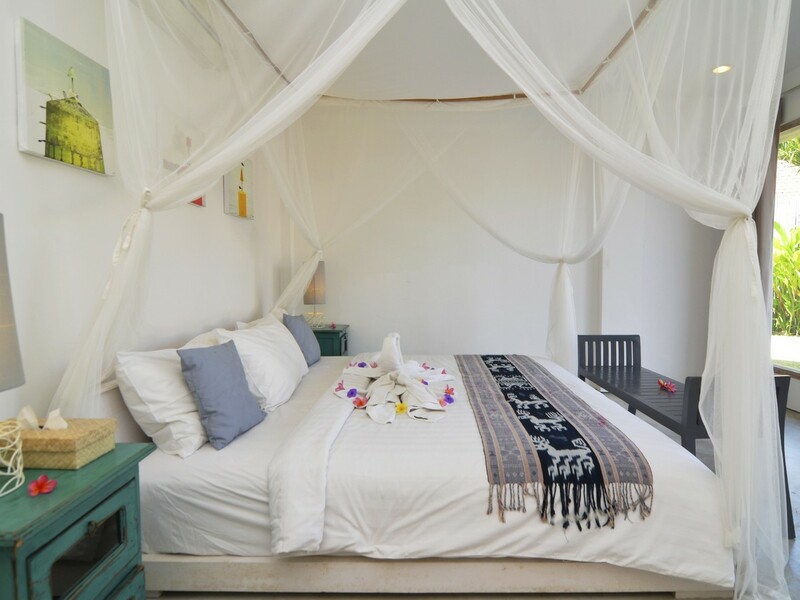 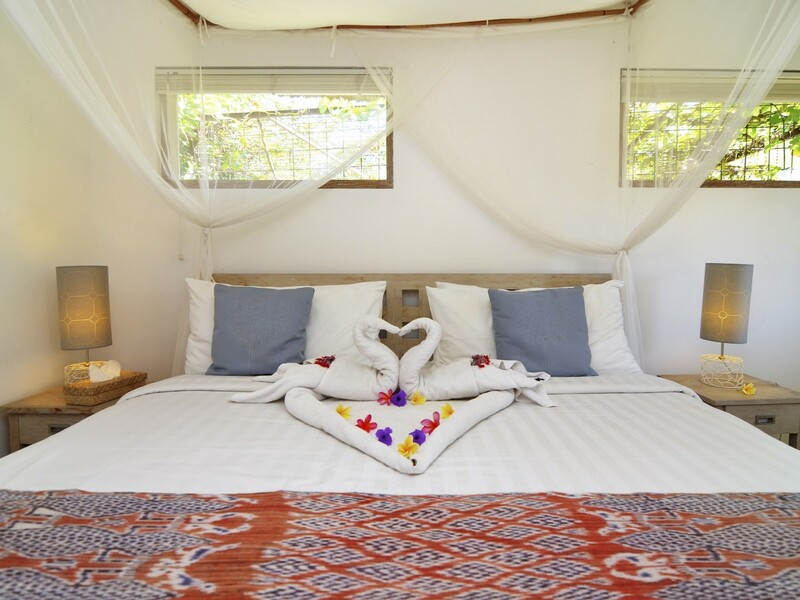 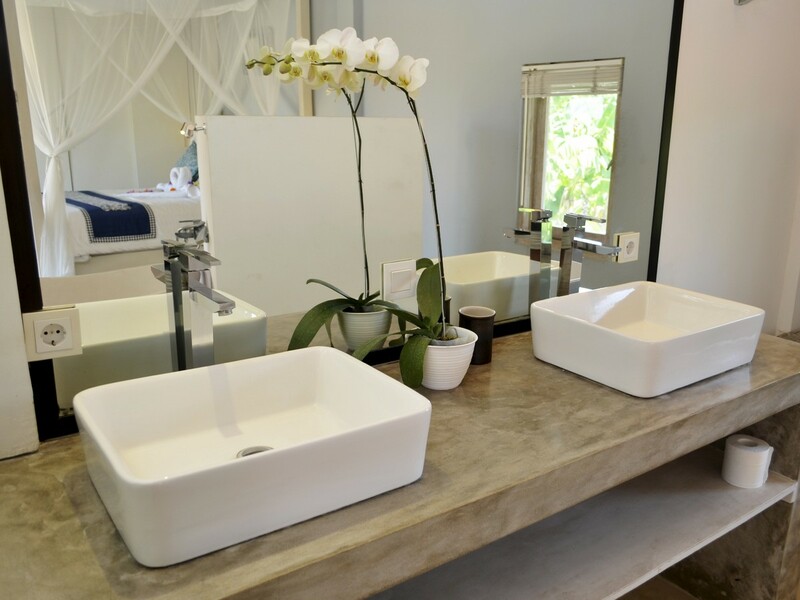 Each have a king size beds, canopied beds for an optimal comfort and all have a semi open air bathrooms with all amenities you need for your stay. 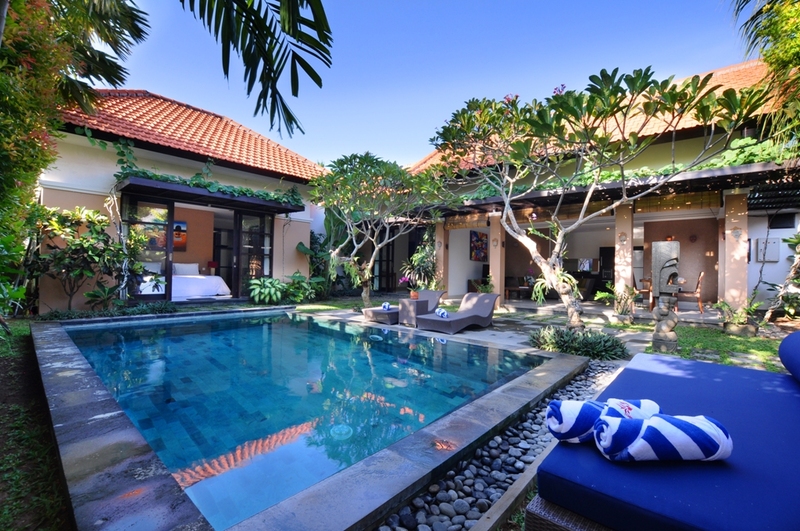 With Villa Kami, you will benefit of a villa manager who will oversee the work of the staff of housekeepers services, security staff. 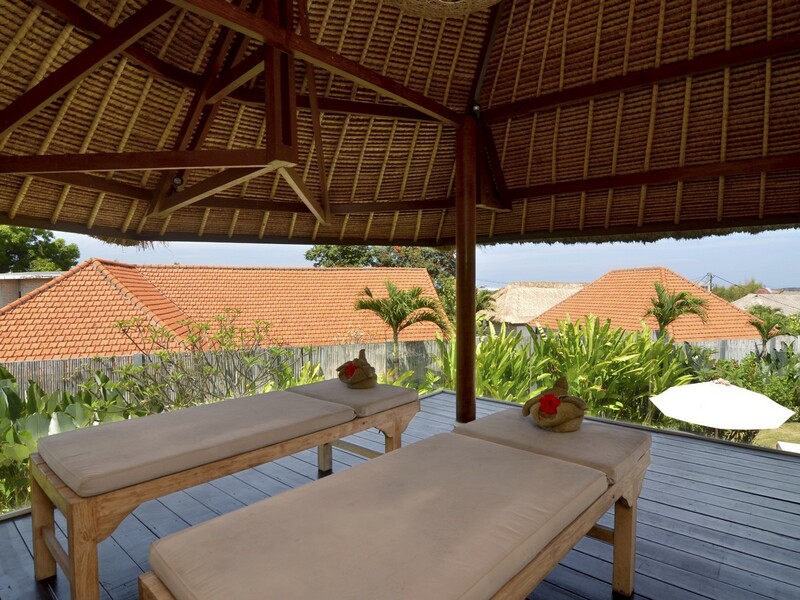 You have access to the spa room of the villa with two massage beds, you can ask for massseuses who will come in the villa for you. 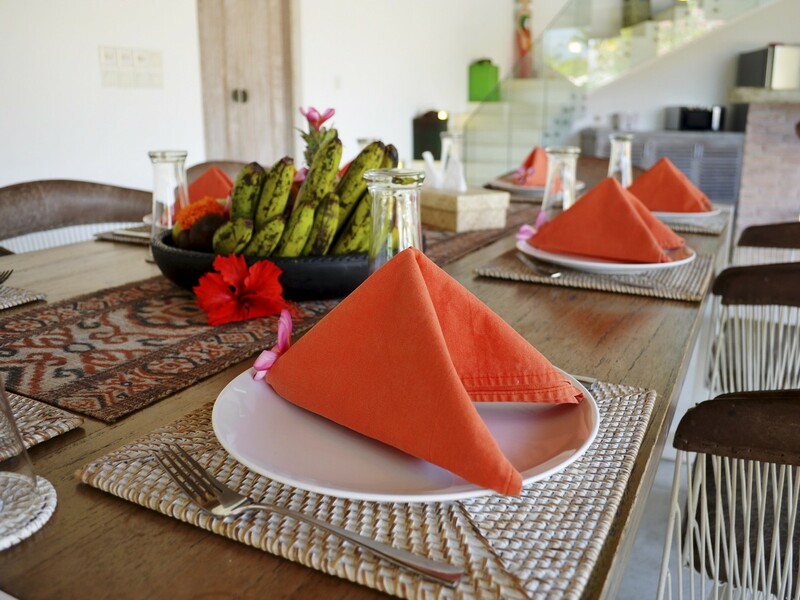 In extra cost you can have a personal chef who will cook you his best meals. 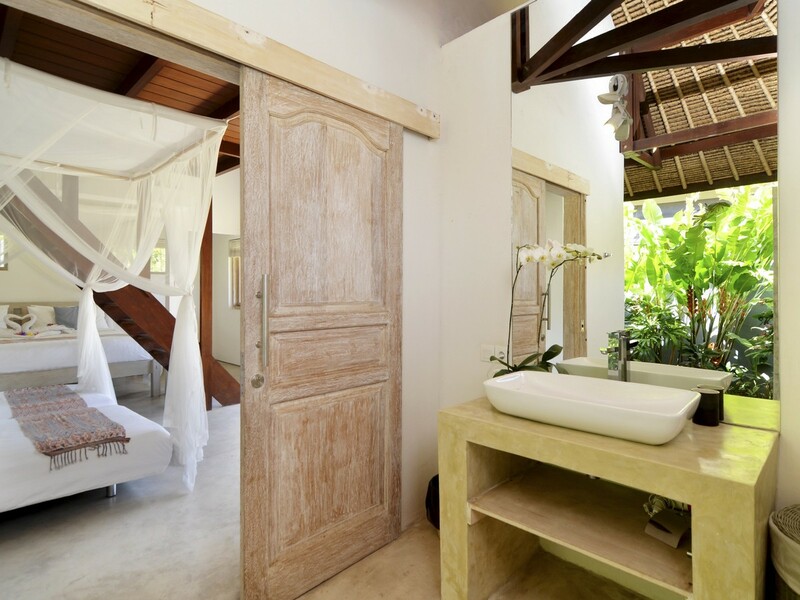 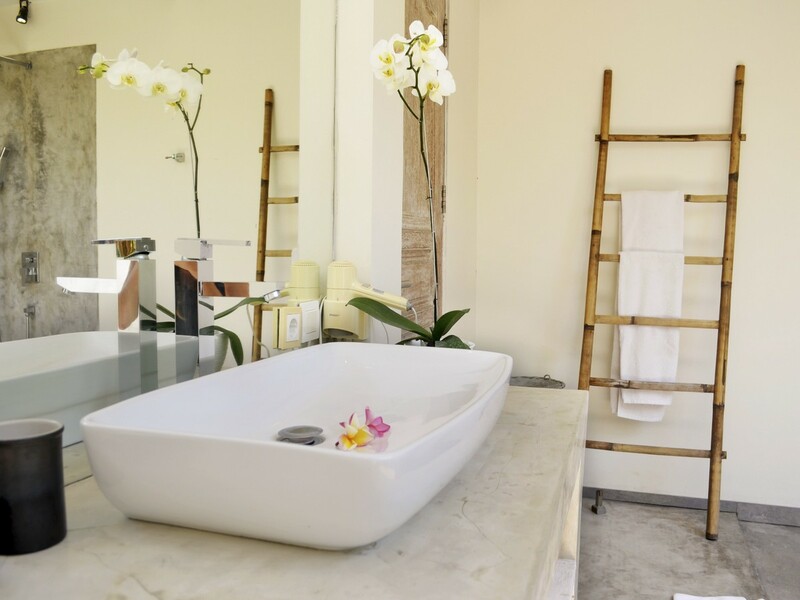 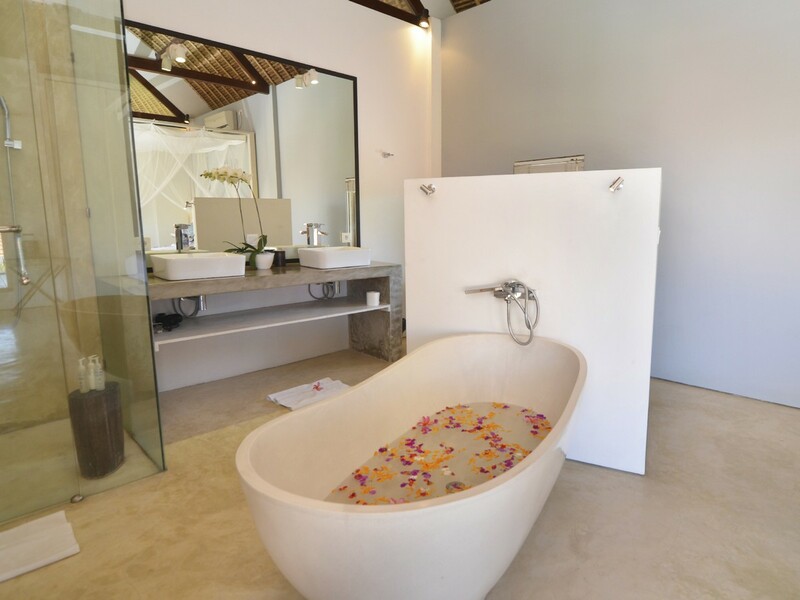 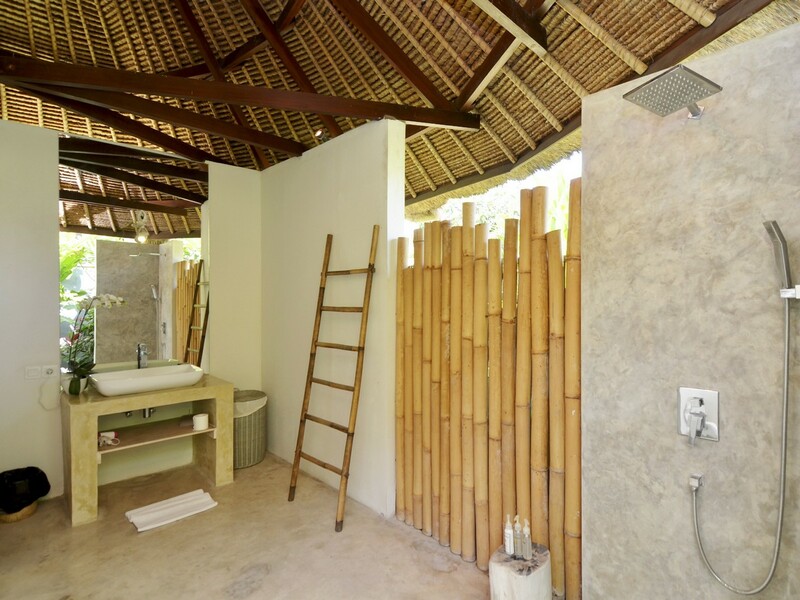 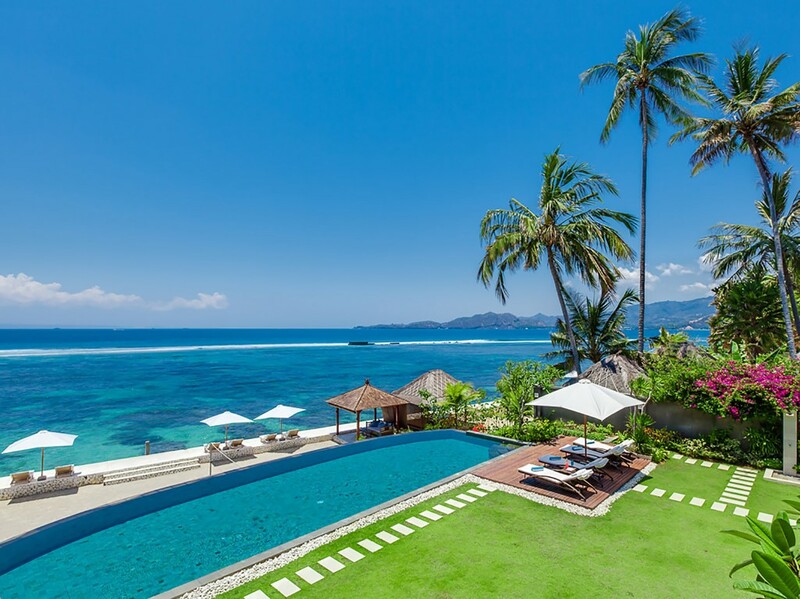 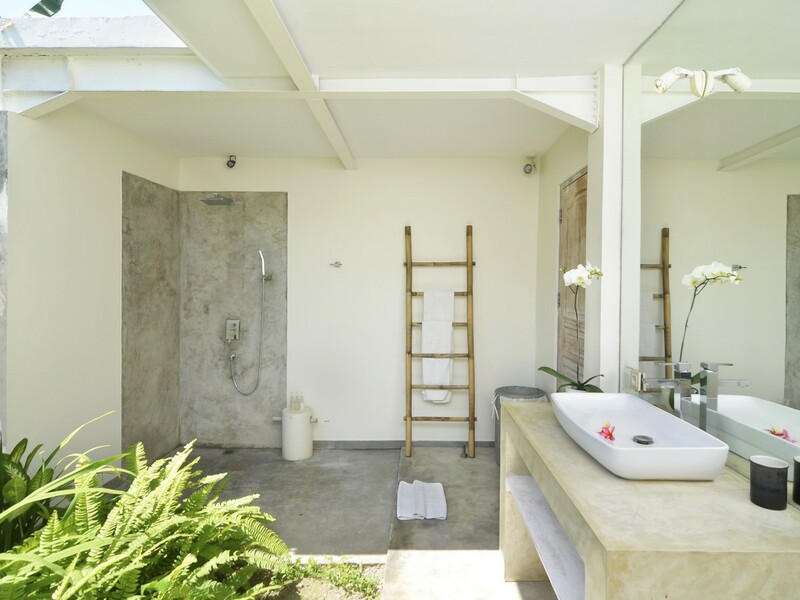 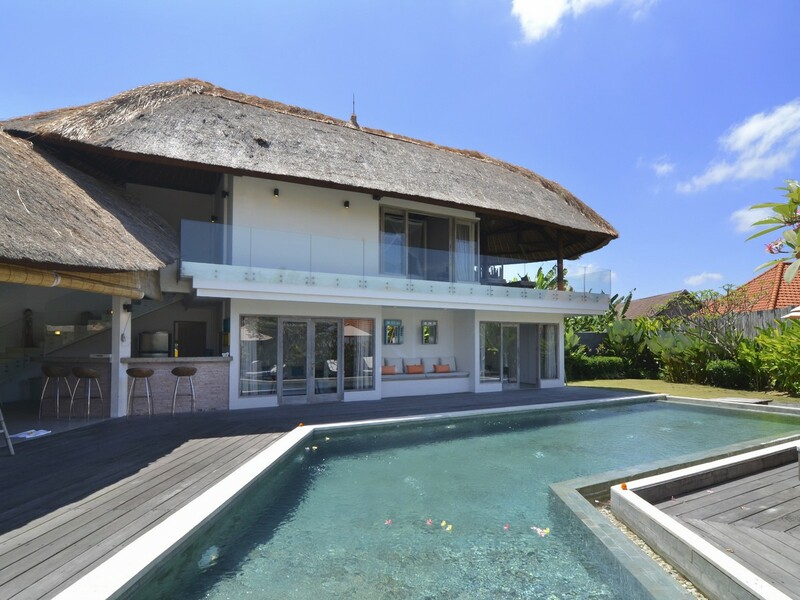 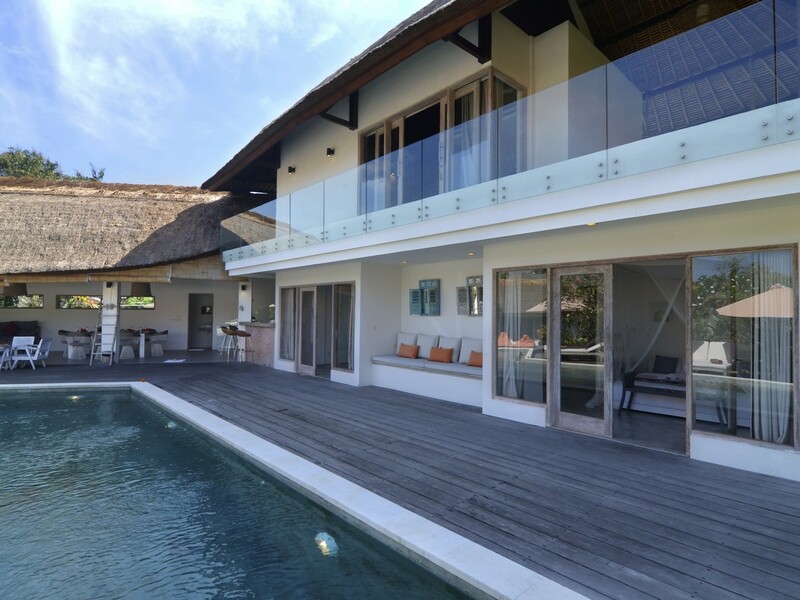 Bali Je T'aime agency will be very proud to show you this handsome villa, you will love it !